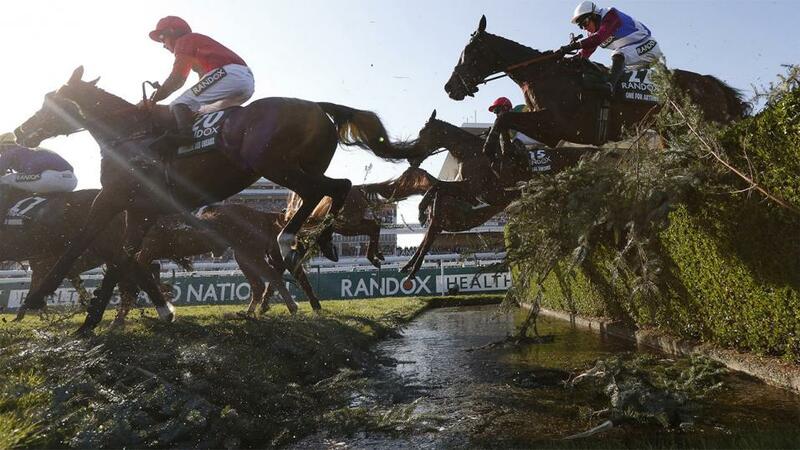 Timeform's free Shortlist comes from Aintree's Grand National Festival on Friday. "...left the impression 3m on testing ground stretched his stamina in the Pertemps at Cheltenham and he is taken to show he's on a good mark back down in trip..."
Who Dares Wins left the impression 3m on testing ground stretched his stamina in the Pertemps at Cheltenham and he is taken to show he's on a good mark back down in trip. Spiritofthegames has a series of good efforts in strong handicaps this winter and should go well again, while Eamon An Cnoic moved well for a long way in the Ultima at Cheltenham and is interesting back hurdling over shorter. Global Citizen created a fine impression when an all-the-way winner of the Grade 2 Dovecote Novices' Hurdle at Kempton in February, and kept fresh for this, is very much the one to beat. Scarlet Dragon has 9 lengths to find with the selection, but given that race was his hurdles bow, he's entitled to finish closer, with Vision des Flos another to consider back down in trip. Mia's Storm was let down by her jumping when sent off favourite against a couple of these rivals in the Kauto Star but her fencing hadn't been an issue prior to that and she's worth another chance to show she can do it at the highest level. Coo Star Sivola looks capable of making his mark outside of handicaps, while Elegant Escape and Black Corton are also likely to be in the shake-up. Min produced a performance that would have been good enough to win most recent renewals when second in the Champion Chase at the Cheltenham Festival last month and, with the winner Altior an absentee here, he rates the clear one to beat. Ryanair-winner Balko des Flos is the obvious threat. Art Mauresque and Theatre Territory are both new to the National fences, but they're ability to jump soundly and consistently makes them ready-made for this sort of test and they're less exposed than the bulk of their rivals, so take them against the field, with marginal preference for the first-named. Last year's fourth (from a higher mark), O O Seven, completes the shortlist. Nicky Henderson has a very strong hand and Ok Corral is taken to confirm Albert Bartlett form with stablemate Santini and resume winning ways. EBF Novice Final winner Sam's Gunner looks a smashing prospect for Mick Easterby and he could surprise a few. Danny Kirwan lacks experience but created a very good impression when pushed out to beat the reopposing Pym at Kempton and can take the step up in class in his stride. Mercy Mercy Me should be more streetwise with his Champion Bumper run behind him and likely has more to come. Like the selection, Mister Fisher and Sevarano both won nicely on Kempton debut and also make the shortlist.